Thirsty Pilgrim: Speculatin' on a Hoppy Hypothesis. I'm not a "hophead" per se. I'm not very interested in uber-double-imperial-IPAs or the latest hoppy monsters unleashed by extreme American breweries. But I did hone my palate on American craft beer. And I do pine for Belgian ales with more hop character--especially if they can also be refreshing. 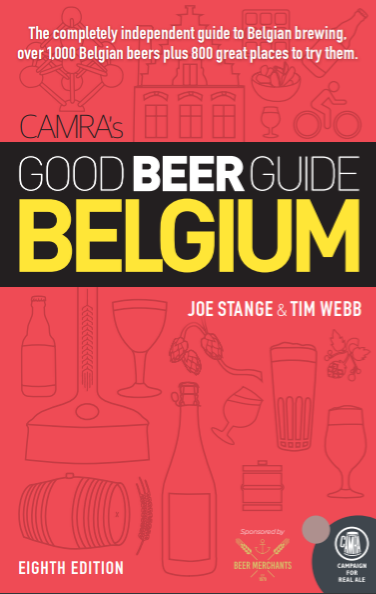 Here's some welcome news then: Hoppy Belgian beers are on the rise. Anyway, they are according to all of my sloppy anecdotal evidence. 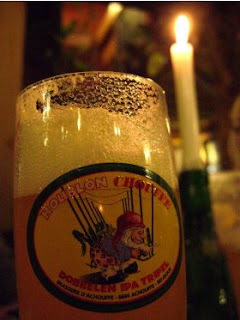 Witness the interest in products like Chouffe Houblon, made strictly for the U.S.A. but guzzled down like mad in Brussels whenever Delirium Café opens a keg. The locals also appeared to be loving the stuff on tap at the brewery's resto in the Ardennes. And it was popular enough that Moortgat rushed out its expensive and clumsy Duvel Tripel Hop to grocery stores before the holidays last year. The small Senne brew firm exports its bitter and quaffable ales, but meanwhile its working overtime to meet growing demand in the local market. Estivale from La Rulles is also a popular choice. Géants recently hopped up its Saison Voison to nice effect. And the last Zythos festival, a popular event to launch new products, offered a wave of hop-focused beers: Anker's Gouden Carolus Hopsinjoor, Alvinne Extra Restyled, Lupulus from Les 3 Fourqets (run by the Achouffe co-founders, incidentally), Slaapmutske Dry-Hopped Lager (made at Proef), and Cuvée De Ranke, a hoppy blonde blended with lambic. That's just off the top of my head. The next year will no doubt bring more. Here's what I'd really like to know: Is this only because of the American export market, on which most of the small breweries depend? Or is it possible that Belgian drinkers also long for stuff that's not just sweet and strong and also isn't the same-old lager? Guess it doesn't matter much. Long as it finds its way into our bellies. Meanwhile, feel free to blame Belgian brewers for their part in the global hops shortage.